6 Ways to Increase Your Support Confidence | Consolidated Technologies, Inc. : Consolidated Technologies, Inc. The average cost of downtime is a staggering $163,674 per hour. Are you confident enough in your support partner that you can focus on advancing your solutions instead of just maintaining them? A UK trader was plagued with a less than functional deskphone and was only able to perform the basic aspects of his job. It was a programing related issue and normally would have required someone to be physically on site to resolve. Instead of disrupting his trading day, the US-based IT organization decided to perform a repair after the UK trading day was over. Using sophisticated advanced diagnostics, the customer’s IT department in the US was able to remotely fix the phone system’s programming problem within an hour while the trader slept. The trader was back to working at full performance first thing the next morning. Quick diagnosis and resolution of the issue helped to minimize the impact of the problem, ensuring that work could start unimpeded the next morning. This is a great example of what a support organization can do to let in-house IT teams spend less time on issue resolution and gain more time to focus on delivering business-impacting advancements. Having access to Emergency Recovery specialists to restore system outages quickly is also invaluable. It is hard to over-estimate the costs of outages to a company’s revenue and brand reputation. Aberdeen completed a study that found the average cost of downtime per hour was a staggering $163,674 per hour. Not only can an outage be costly, the opportunity cost of IT not focusing on rapidly transforming a business can even be higher. Today’s business is rapidly chasing the digital transformation journey and IT is critical to that goal. An IT organization can gain time back to help deliver on digital transformation if they are confident that their support provider has their back. Picking the right team of support experts can make all the difference in terms of the real costs of an outage and the level of confidence that IT has in their ability to focus on the future. Want to help your business transform and increase your confidence quotient? Can the support provider provide a 24/7 Emergency Recovery (ER) team ready to step in when adversity strikes? Does the support provider’s remote technical software and hardware support include upgrades, updates, fixes, and security advisories? Does the provider offer software that can automatically predict and prevent future outages as part of the standard service agreement? Or is there an extra charge? Can escalations to higher levels of support be avoided with embedded smart agents that enable remote network analysis and solve network problems faster? Can your service provider use intelligent software systems to resolve alarm-generated service requests without human intervention? Is multi-vendor support that can accelerate diagnosis of interoperability issues across mixed environments offered or included? For the global trading firm, asking the above questions and picking the right support services team helped them confidently do what they do best—trading and making money. 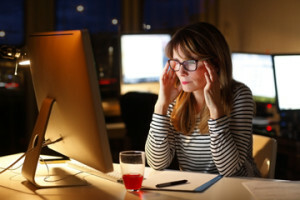 The IT team in the U.S. was able to fix the problem remotely during the U.K. nighttime when it would not affect performing business. When the trader returned to work, she could confidently focus on driving customer trades and revenue. Who is watching over your network? How effective are your embedded agents in predicting and solving problems before they start? Can you afford an outage? To learn why CTI is the right service provider for your business, click here.